A federal jury in California has awarded $80 million to a man who said Monsanto herbicide Roundup was a “substantial factor” in him developing non-Hodgkin lymphoma, CNN reported on Wednesday. It’s a major blow to the chemical manufacturer and its parent company, German chemical giant Bayer AG, which are facing hundreds of lawsuits related to the glyphosate-based herbicide in San Francisco. In the first phase of the trial, which concluded on March 20, the jury found that plaintiff Edwin Hardeman’s cancer was likely due to Roundup exposure. In the second phase that ended this week, the jury found Hardeman proved in court that Monsanto released Roundup with a defective design, then was negligent in its responsibility to provide adequate warning about potential health risks. According to the lawsuit, Hardeman said he had used Roundup on his property for over 20 years before he was diagnosed with cancer in 2015. $75 million of the $80 million jury award is punitive. In a statement on the Bayer website, the company said it was “disappointed” in the decision, said it still believed that Roundup was not carcinogenic, and claimed the outcome of the case would have “no impact on future cases and trials, as each one has its own factual and legal circumstances.” It also said it would appeal the verdict. 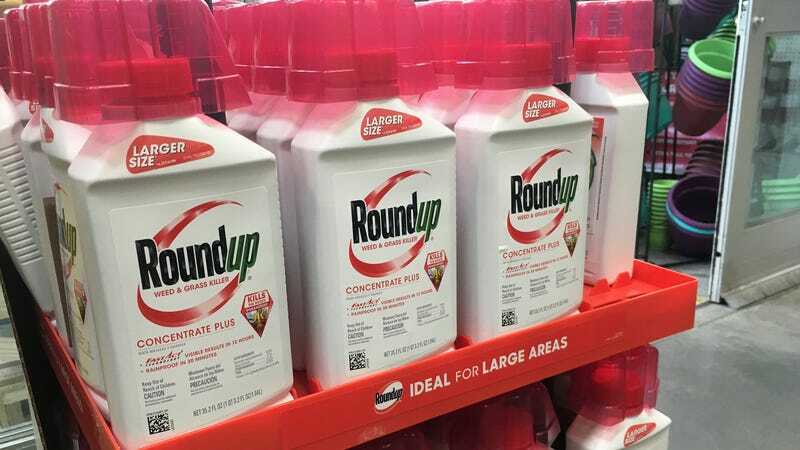 As the Associated Press noted, the judge in the case, Vince Chhabria, is overseeing hundreds of other Roundup lawsuits and the ruling places plaintiffs in those cases in a strong position to reach generous settlements. Another lawsuit against Monsanto that ended in August 2018 concluded with a $289 million jury award, though it was later slashed to $78 million, the AP wrote. Tom Claps, a legal analyst at Susquehanna Financial Group, said Wednesday’s verdict “doesn’t bode well for the remaining cases” in both state and federal court, since Monsanto thought the two-phased trial would be a more favorable setting. Investors unfamiliar with the U.S. legal system, he said, need to get comfortable with the fact that the litigation could take years to play out and cost what he estimates at between $2.5 billion to $4.5 billion to resolve. Other investors and analysts have said they would wait for at least two or three further verdicts before estimating how much this might cost Bayer.